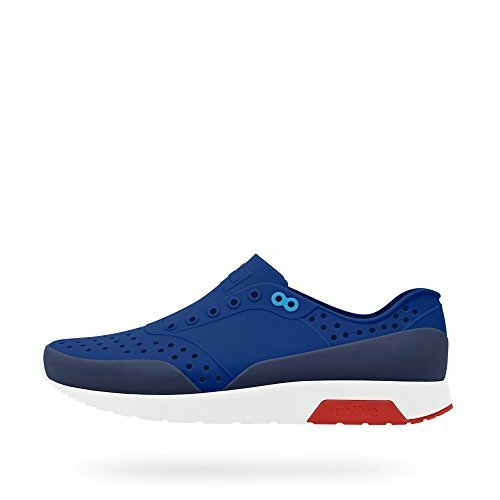 Go the distance with the go-anywhere, comfy cool style of the Native® Lennox shoe! Slip-on silhouette. Molded EVA upper. Perforated detailing for breathability. Pop color accents. Dual-density EVA midsole. Cushioned footbed for all-day comfort. Compression EVA outsole for long-lasting wear. Vegan construction. Imported. Measurements: Weight: 7 oz Product measurements were taken using size Men's 11, Women's 13, width Medium. Please note that measurements may vary by size. Pop color accents. Dual-density EVA midsole. Cushioned footbed for all-day comfort. Compression EVA outsole for long-lasting wear. Vegan construction. Imported. Measurements: Weight: 7 oz Product measurements were taken using size Men's 11, Women's 13, width Medium. Please note that measurements may vary by size.